Awake and Alert. CHRISTIAN ZIONISTS ARE PHARISAICAL MURDERERS AND MEMBERS OF THE SYNAGOGUE OF SATAN: The Dumb Plan of satanists (israelis) who are thick enough to believe that the world likes them and the world hates Assad. The Dumb Plan of satanists (israelis) who are thick enough to believe that the world likes them and the world hates Assad. Sourced directly from national intelligence agency leaks. It will go down like this; Syrian President Bashar al Assad will board a Russia aircraft to fly to Sochi for peace settlement talks. This is one of several scenarios. The plane, a Russian plane, will be forced down with engine trouble. 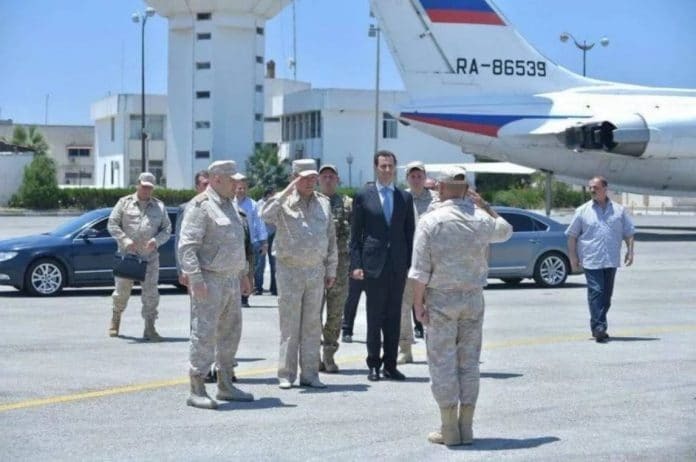 President Assad will be removed from the plane and transferred to The Hague where he will be tried. Our sources have seen the case file against him, White Helmets, dozens of paid witnesses, the doing of Donald Trump, Benjamin Netanyahu and, we are told and are reporting only reluctantly, Vladimir Putin, who is to object vigorously. Our sources have been putting this together for the last few days in Italy, where the planning went on, meetings in Rome. All NATO states are full briefed on this and fully complicit. Israel and ISIS evacuating and transferring “witnesses” and their families to Germany last week was part of it. “And let us not forget that the white helmets themselves are not stitched on the heads of their bearer,” he added. 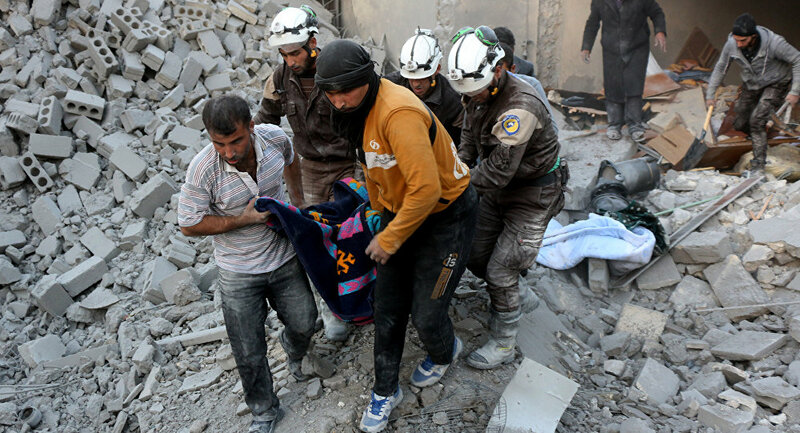 “Anyone can wear a white helmet and become a White Helmet, just like former terrorists which left Syria into Turkey and then entered the EU as refugees.”On July 22, Israeli Prime Minister Benjamin Netanyahu stated that he had authorized the evacuation of White Helmets volunteers at the request of US President Donald Trump and other Western leaders. The organization, largely hailed in the West, has been repeatedly spotted engaging in false flag operations in terrorist-held regions in Syria. Christopher Assad, a Canada-based political observer and writer of Syrian origin, echoes Kadi’s concerns. “As a Syrian, I deplore the propaganda role assigned to these terrorists by their Israeli, Arab and Western handlers,” Assad stressed.The political observer pointed out that Syria has had its own national branch of the International Red Cross and Red Crescent society since 1954. According to Assad, the West’s concerns over the evacuation of the NGO are quite understandable given previous reports about French, Belgian, German, Canadian, Israeli, British, Dutch and American operatives among rebels in Syria. “In order to avoid the blame game on why they have lost the war in Syria, the US, Canada and the UK instructed Israel to help, via the Western intelligence hub in Amman, so that the rapprochement between all Western partners in the war on Syria can remain intact as no party wishes discord between these partners in crime,” the political observer opined. “They are afraid that the Syrian Army will arrest them on sight, with good reason as they are an affiliate of the terrorists,” Giraldi underscored. 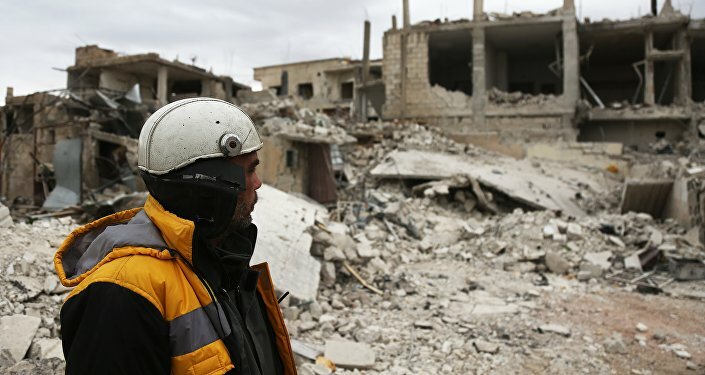 For his part, Israeli political analyst and publicist Avigdor Eskin opined that Israel’s actions at the request of the US, Canada and the EU had prevented a potential bloodshed by allowing the White Helmets to flee the theater of war. He cited previous cases, including the liberation of Aleppo, when Syrian rebels of various affiliations were allowed to leave embattled areas to pave the way for reconciliation. “Four hundred White Helmets and their family members were allowed to enter Israel and to continue to Jordan,” Eskin said, suggesting that the move had contributed to the peaceful settlement in the war-torn country. The Israeli analyst opined that all efforts aimed at preventing violence should be hailed, especially given the fact that the seven-year war has claimed the lives of more than 500,000 Syrians. According to Jordan’s Foreign Ministry, 422 out of 800 White Helmets volunteers and their family members have been evacuated by the Israeli military. *Al-Nusra Front (also known as Tahrir al-Sham) and Daesh (ISIS/IS/ISIL) are terrorist organizations banned in Russia.